Everyone likes to look and feel clean, hygienic and of course, pretty. However, this comes at the cost of finding time-out amidst managing a busy schedule. Often, we tend to put away the task of making an appointment at a beauty salon, for the ‘next time’. What if all these inconveniences could be addressed with one simple solution? Purely Polished has your back! This article lists out the top five benefits of choosing Purely Polished over many other mobile salons. Firstly, Purely Polished is your one-stop shop for buying convenience. Operating across both Sydney and Melbourne, this company has become a favourite pick for all busy women and men looking to get a high quality manicure and pedicure at the comfort of their time and place. We have a high regard for your time and do our best to make a relaxing service available where you choose. We can visit your home, office, hotel, party, anywhere you like! Secondly, Purely Polished has a proud reputation. In the past two years, with relentless hard work put into building this company, Purely Polished has consistently topped the charts with happy and returning customers. It is a reputation to be proud of and to live up to. Our customers range from busy businesspersons (women and men) to new mums to elderly people and hospitalised patients. We are happy to share that we do have a few celebrities and social media influencers on our list as well. We have also won the confidence of certain national and multi-national companies where we visit and pamper the employees time to time! Thirdly, Purely Polished has trusted and happy nail technicians. As a strict policy of our company, all our nail technicians are vetted and insured. We make sure that everyone who works with us is a part of our big family and lives up to the expectations we promise to our clients. While our clients are our priority, we feel compelled to bring a smile to the faces of our nail technicians as well. We offer them a significantly high pay that is yet to find its parallel in Sydney and Melbourne. Thus we have well trained, experienced and expert professionals who visit our clients. Fourthly, Purely Polished is a personal experience. And fifthly, The vision and the person behind Purely Polished. 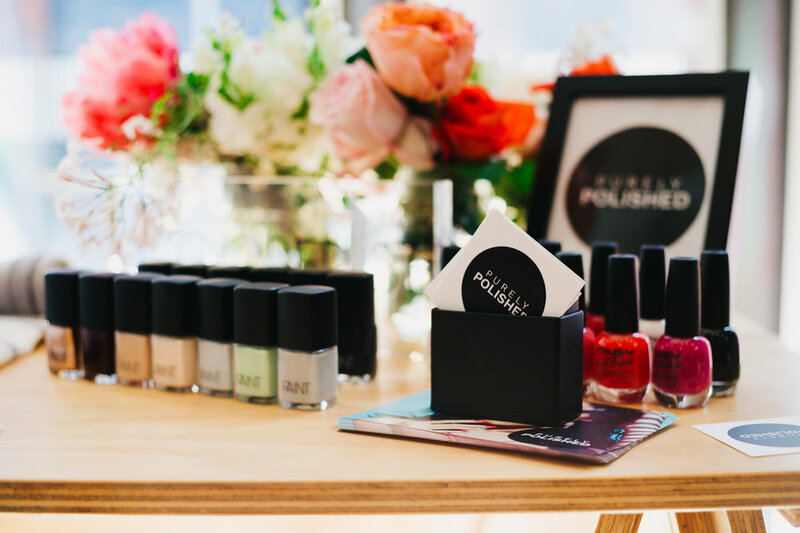 Purely Polished is the dream-come-true of Iman Davamoni, the Founder & CEO. She is a full-time mum of a toddler and a business woman with a mission to promote women empowerment and improve quality of life, one nail at a time. Purely Polished has created jobs for so many at-home mums with an expertise that they could not put to use because of lack of time. They have benefited so much from the flexible timing we offer. Iman’s deep involvement in every step the company takes makes a huge difference in the big picture for everyone—Purely Polished clients, employees and partners.